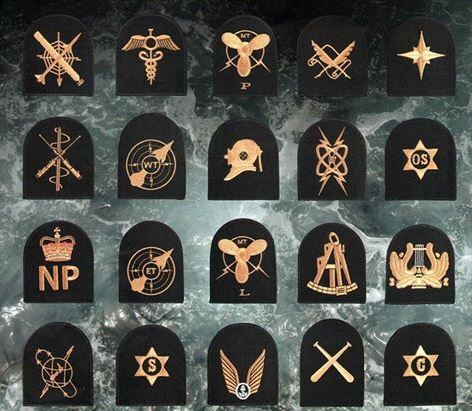 Here is an image of the current branch badges of the RNZN. Lets see how good we are and see which ones we can name. 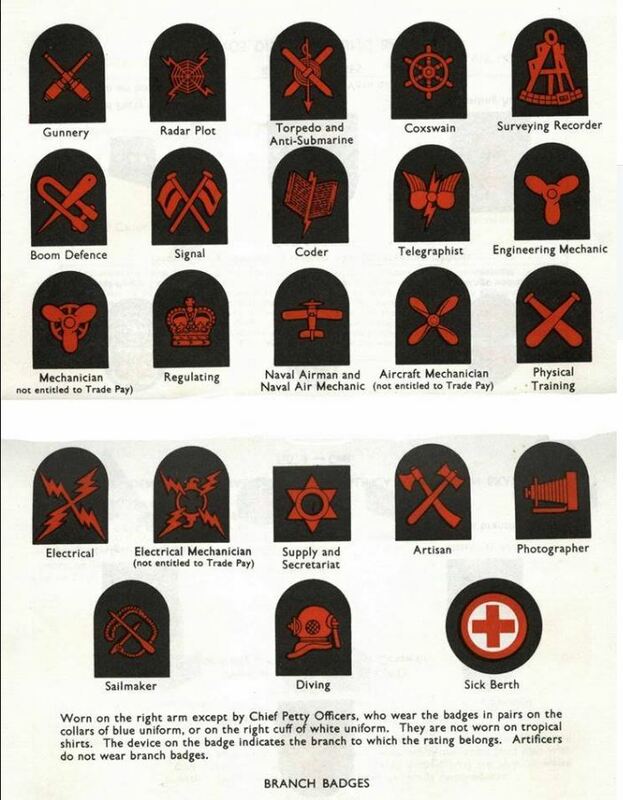 I believe the Bottom Left is the Comms Badge! TOP L-R Combat Systems Operator, Medic, Marine Technican )Propulsion,Wtiter, Naval Contol of Shipping. 2nd ?, Weapons Technician, Diver, Golliwog,Steward. BOTTOM Comms, Supply Assistant, Helicopter Loadmaster, PTI, Chef.